Nicola Mazzanti currently serves as Solo Piccolo of the Maggio Musicale Fiorentino orchestra, a position he has held since 1988. Many composers have written pieces for him, for piccolo and piano or orchestral concerts. His name is associated with many premières. 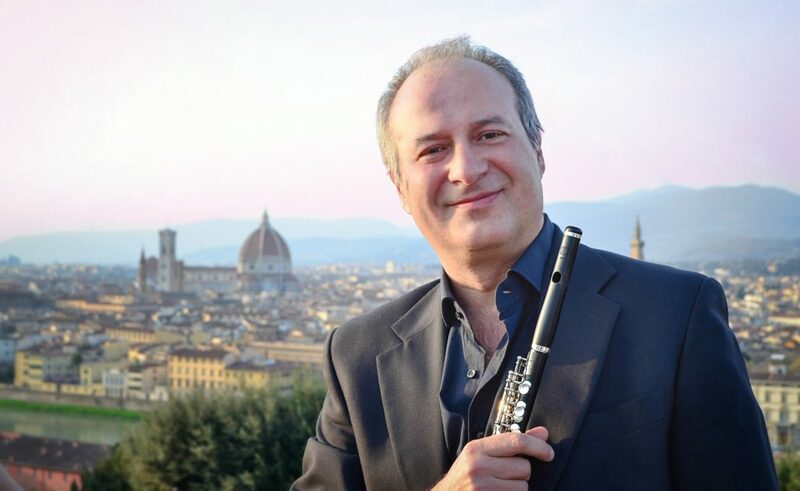 As a soloist, he has performed with orchestras such as “I Pomeriggi Musicali” of Milan, the Malta Philharmonic Orchestra, the Florence Symphony Orchestra and Akronos of Prato. Mr. Mazzanti performs frequently as both a flute and piccolo soloist and in chamber ensembles in Italy and abroad. 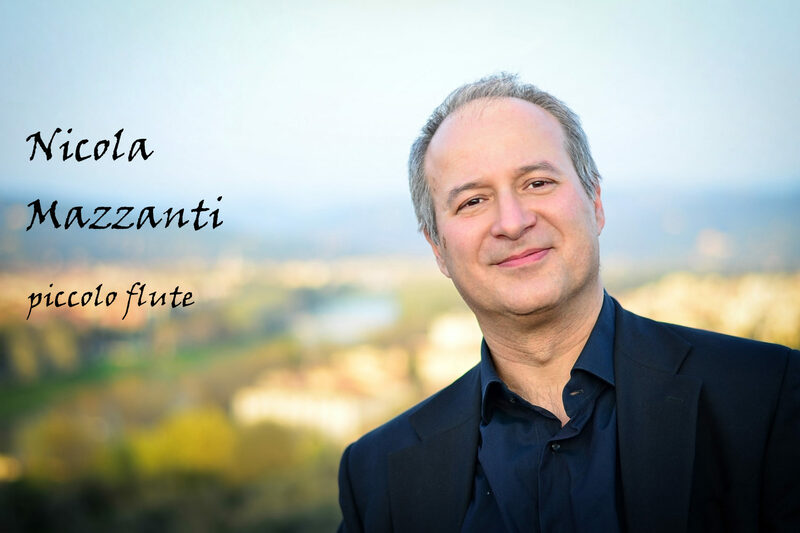 In his role of advocate for the piccolo as a solo voice, he has performed at the 2003 Vienna Flute Festival, the 2005 National Flute Association Convention in San Diego, California, the 2009 in New York, the 2013 in New Orleans, the 2014 in Chicago (with performace – and standing ovation – at Gala Concerto), the 2006 International Convention of the British Flute Society, the first International Piccolo Symposium in Omaha, Nebraska (USA) in 2007, the 2009 Serbian Flute Festival in Belgrade, in the 2011 and 2012 Iowa Piccolo Intensive, in the 2011 First European Piccolo Festival in Slovenia, and in several Italian Flute Conventions. In 2011 and 2012 he toured in USA (California, Michigan and Iowa) teaching and playing recitals Sir James Galway invited him to perform at his masterclass in Weggis (Switzerland) every year since 2008. Since 2001, he has held annual piccolo courses at the “MusicArea” association in Florence and at the Italian Flute Academy in Rome. Since 2009 he teach piccolo at the Hochshule in Luzern, since 2011 at the Conservatorio della Svizzera Italiana in Lugano (Switzerland) and since 2013 at the Conservatorio “Verdi” in Milano. He is frequently invited to give masterclassses for flute associations and music schools in Italy and abroad. He has released three solo CD’s. His web site is a regular destination for dedicated piccolo players. His book “The Mazzanti Method” for piccolo, published in 2014 by Theodore Presser, has been welcomed as a milestone in the teaching of this instrument. Mr. Mazzanti is a 1982 graduate of the “Luigi Cherubini” Conservatory of Florence, where he studied with Sergio Giambi. He later took lessons or participated in masterclasses given by James Galway, Aurèle Nicolet, Raymond Guiot, Emmanuel Pahud and Mario Ancillotti. In 1986, he earned an additional degree in Music History With Honors from D.A.M.S. (University of Arts and Music).